Summertime is here! And with it we have all the fresh garden produce, fresh fruit, pool parties, and campfires. Yes I love this time of the year! 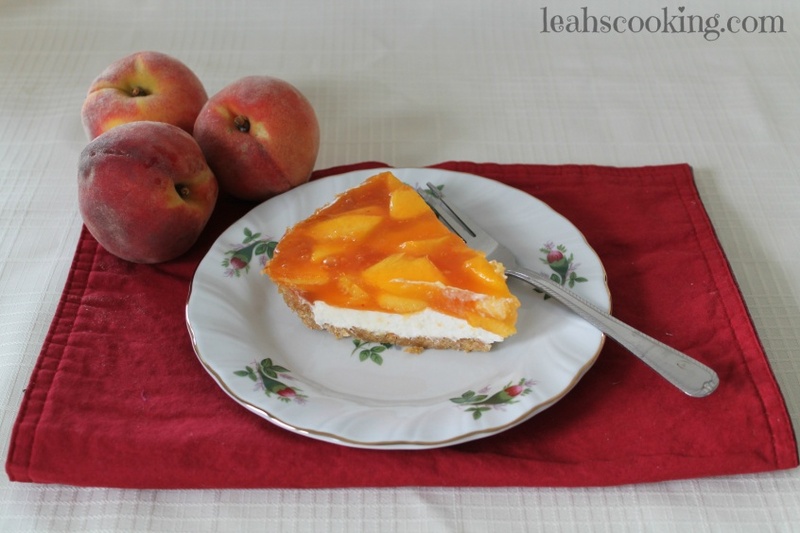 This is one of my husband’s favorite desserts so last week when I got fresh peaches I was happy for the chance to make it for him. 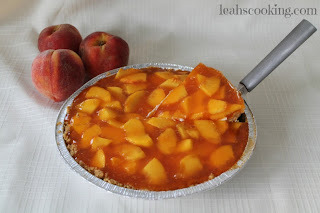 J It’s simple, delicious and the best Peach Pie I ever had! Mix together graham crackers and sugar. Stir in utter and press into a 9’’ pie pan and bake at 375 for 6-8 minutes. Cream together cream cheese and powdered sugar until blended. Fold in whipped topping. Spread in bottom of crust and refrigerate until set. In small saucepan combine gelatin and pudding mix, stir in water, bring just to a boil over medium heat, stirring constantly. Remove from heat and cool 5-10 minutes. 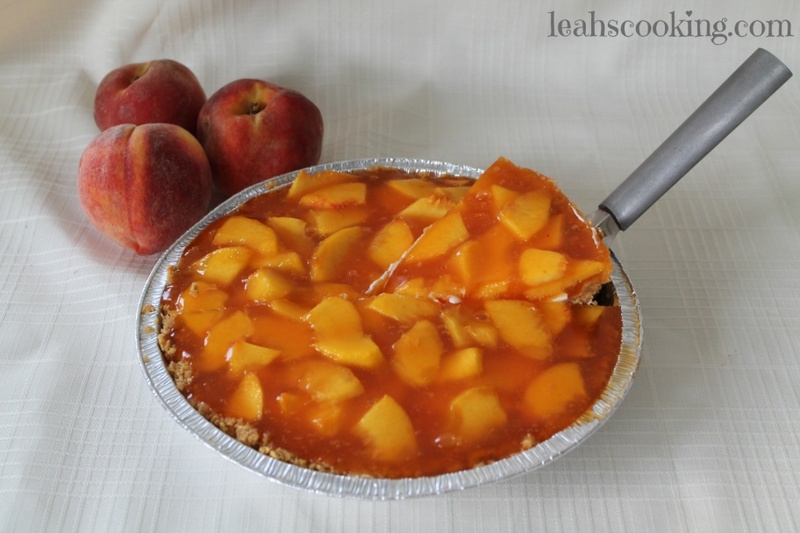 Stir in peach slices and pour into pie. Refrigerate 4 hours or until set. Leah is happily married to Owen, the man of her dreams. 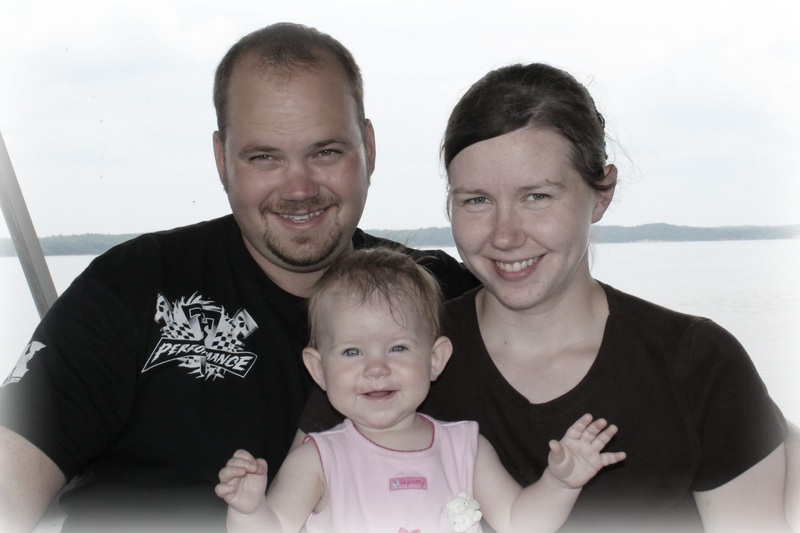 They have an 10 month old daughter that is totally adored by both of them. Please join her over at Leah’s Cooking for delicious Amish recipes. Thanks so much for the wonderful recipe Leah!